Q. Do I need to wait for an adjustor before making repairs? boarding windows and or doors. Save your temporary repair receipts. If you do some of the work yourself, keep track of the time you spend. Q. How long will it take to handle my claim? 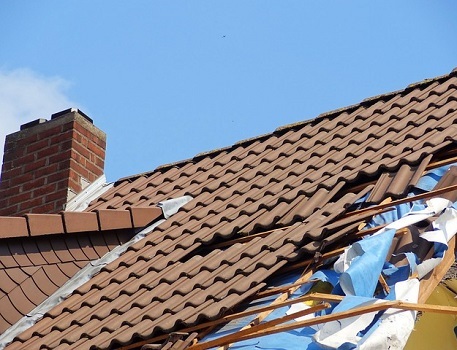 If a widespread, catastrophic event causes damage to the property of hundreds of policyholders, it may take more time than usual for the adjustor to inspect your property because of heavy claim volume and travel challenges. If your damage is extensive or involves specialty items; this could extend the time it takes to complete your claim. Q. Who will repair the damage to my property? You choose the contractor who will repair your damage. Hire one who’s done satisfactory work for you in the past, or ask your friends or agent to suggest a reputable contractor. When you interview a prospective contractor, ask for references and proof of liability and workers compensation insurance. The Better Business Bureau may have records that could be helpful in choosing a repair firm. Be sure to get a written contract, make sure you understand it, and don’t pay for all the work upfront or before it’s completed. Q. What if my house sustains structural damage to the point I can’t stay in it? Allegany’s Homeowner policies include coverage for Additional Living Expense. This coverage will reimburse you for the necessary and reasonable increase in expenses you incur to maintain the normal standard of living of your household when your home is made unfit for occupancy by a covered loss. Please keep your receipts for any additional living expenses you incur for reimbursement consideration. Q. Why does my claim check include my mortgage company as a payee? If you have a mortgage on your home, the mortgage holder (mortgagee) has an interest in your property, and your policy requires that we name that entity or person on any check for damage to your house or other structure. You’ll need to contact your mortgagee to find out what its requirements are for negotiating the check and getting the funds released.